I could only find one word when I was standing in the middle of this amazing road and that was "enchanted". It didn't even seem like it was a real place. 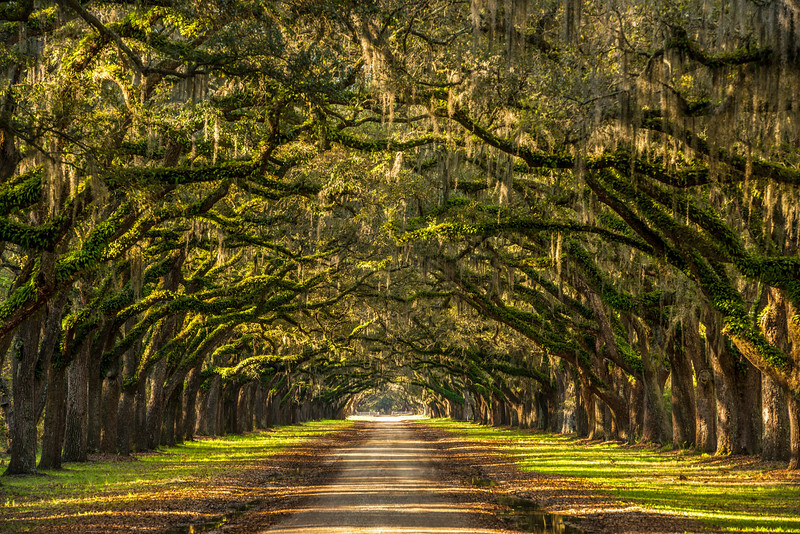 The live oaks seem to reach out for each other over the narrow dirt road. The Spanish moss was blowing ever so slightly in the cool morning breeze and the orange and yellow hues from the rising sun lit the scene beautifully. If you haven't seen something like this in person I highly recommend you do so.